After its March meeting, the Fed announced that it would slow the likely pace of short-term interest rate hikes considerably. This announcement eased our chief concern for the global economy. Three things that history suggests are (1) major stock price declines in the U.S. are usually associated with recessions, (2) all but one recession over the last 100 years was associated with the Fed over-tightening monetary conditions via interest rate hikes or other policy tools, and (3) when the U.S. sneezes, the rest of the world catches a cold. Those points explain why we have positioned our strategies relatively conservatively over the past year. With the primary risk to global financial markets (Fed interest rate increases, in our view) seemingly abated, we are now becoming more interested in taking advantage of opportunistic investment ideas, as opposed to several months ago when our portfolio management conversations were more focused on asset protection. 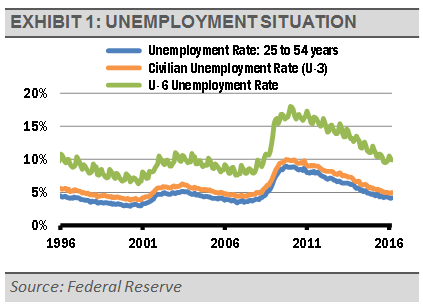 With the Fed backing off, our favorite labor market measure, prime age unemployment, should continue to improve, along with the more widely followed measures of headline underemployment (the U-6 rate). We are by no means out of the woods, but cautious optimism has taken over our discussions. With the Fed slowing the pace of short-term interest rate increases, the U.S. dollar has softened versus other currencies. Most importantly, the U.S. dollar softening has eased pressure on China, who had been spending down its foreign currency reserves at a rapid pace to keep its unofficial currency peg to the U.S. dollar in place. This unofficial policy cost China about $800 billion over the last several months. 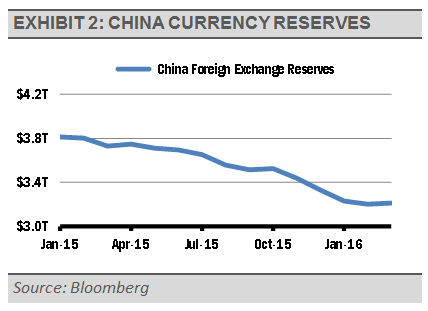 If that course were to continue, risks would have grown substantially as China would either have to let its currency devalue or chance running too low on reserves. The current situation is much improved in our opinion. We think that China’s economy has stabilized recently, and the easing of currency pressure reduces our second key risk to the global economy. 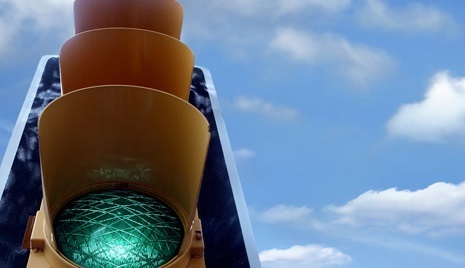 Still, we expect choppy markets ahead due to slowing growth rates worldwide, along with government interventions designed to offset the impacts of slowing growth. Potential near-term market volatility notwithstanding, we are optimistic about the U.S. economy over the long-term given the strength of the U.S. consumer and positive demographic trends, combined with an economy that can make the most of the creative strengths of the U.S. labor force. We are not as optimistic regarding foreign economies and markets in general, though there are exceptions.